The Wisconsin Chapter of ASHRAE is proud to announce that on Thursday, April 18, Julian de Bullet will be presenting on: “Chiller Plant Design Fundamentals”. Julian R. de Bullet, President of deBullet Consulting LLC, has over 40 years’ experience in the HVAC industry specializing in educational outreach in energy and refrigerants advocacy. He is a consultant for the Carrier Corporation team developing strategies for high performance buildings that are safer, smarter and sustainable. As ASHRAE Vice President (2001/2003), he served on the Society Board of Directors, the Executive Committee and was Chair of Member Council and Publishing Council. He is Past President of the ASHRAE National Capital Chapter and was Director and Regional Chair for ASHRAE Region III. He is an ASHRAE Distinguished Lecturer with over 400 technical seminars delivered around the world, an ASHRAE Life Member, and holds the ASHRAE Distinguished and Exceptional Service Awards. Presently he is a member of Technical Committee TC8.2-Centrifugal Chillers and TC2.5-Global Climate Change. Julian has a B.Sc. in Electrical Engineering and a Diploma in Marketing. Registration and itinerary for the April Meeting are below. The 2019 Gustus L. Larson chapter scholarship deadline is June 7, 2019. Please see the details and download the application on the chapter website at http://ashrae-wi.org/scholarship/. 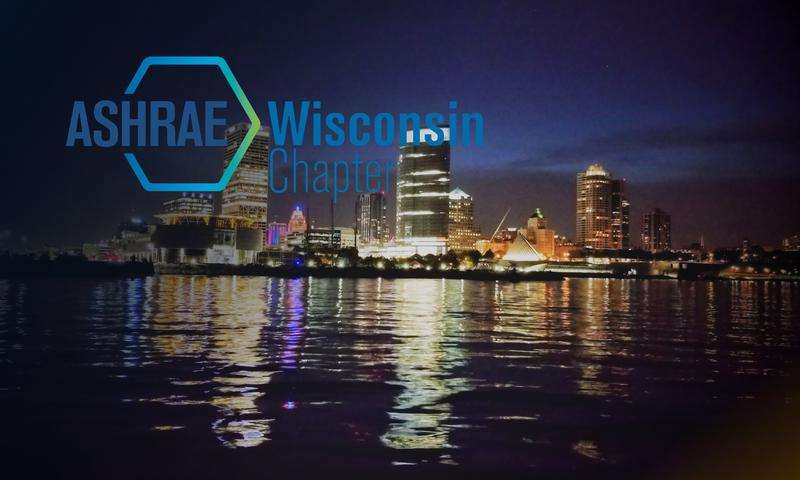 The Wisconsin Chapter of ASHRAE is proud to announce that on Thursday, November 15th, Tim Wentz will be presenting on: “Back to the Future: Our Industry in 2030”. Born in Lincoln, Nebraska, Tim is the fourth generation to work for his family’s design/build mechanical contracting firm. He spent 19 years as a mechanical contractor immersed in design, project management, estimating and corporate leadership. He has been blessed with a wonderful family, led by his wife, Marsha, and their two children, Megan and Blake. Both Megan and Blake have developed into outstanding educators; Megan at Millard West High School and Blake at the Milwaukee School of Engineering. This presentation will explore some of the emerging trends and technologies that will likely shape our future. As with any dramatic change, both danger and opportunity will manifest themselves, requiring us to create innovative, imaginative approaches to seize the opportunities. Registration and itinerary for the November Meeting are below. Presentation by Stephanie Taylor, M.D. The Wisconsin Chapter of ASHRAE is proud to announce that on Thursday, October 18th, Stephanie Tayor, M.D. will be presenting on: “Healthcare-Associated Infections and Hospital Indoor Air Quality”. During this time, she became increasingly concerned about patients who were harmed by new infection during their in-patient treatment. 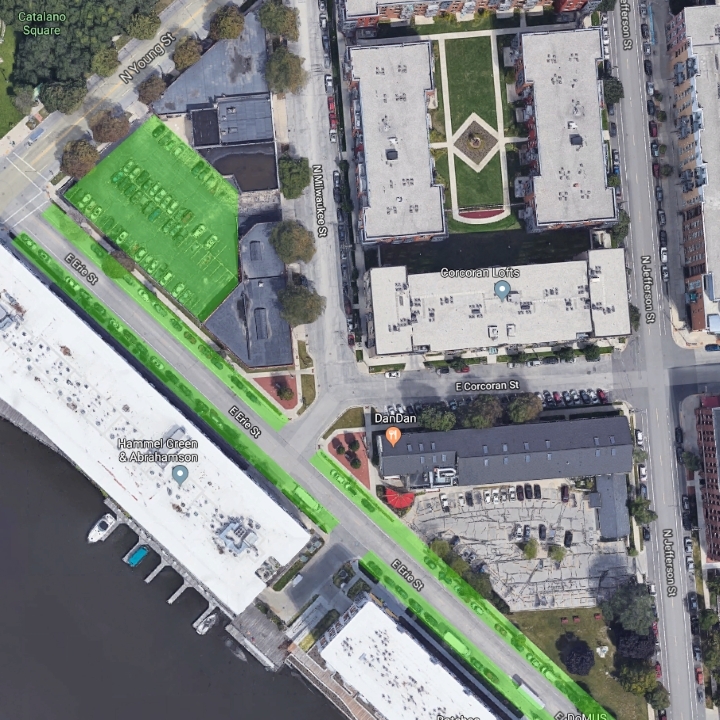 Determined to gain a better understanding of the impact of the built environment on patient well-being, she returned to school and obtained her Master’s Degree I Architecture and Engineering from Norwich University in Northfield, Vermont. She quickly learned that many of the building and indoor air characteristics that affect people in hospitals also influenced the health of all people in buildings. Dr. Taylor is currently working at the intersection of architectural design, indoor air management, the microbiome of the built environment and occupant health. She finds the impact of buildings on our health startling! Managing the built environment and indoor air with the goal of decreasing diseases from acute infections to chronic inflammation to cognitive impairment, is a very underutilized yet powerful approach to disease prevention. She finds that her physician insights and biological research helps her understand the science behind the interaction of buildings, human physiology and energy consumption. As new research clarifies how essential the built environment is to patient healing and employee health and productivity Dr. Taylor will communicate clear and up to date research on how indoor air management relates to patient healing, length of stay and hospital profits. Given the exorbitant cost of healthcare, the frightening increase in antibiotic resistance, and the epidemic of patient harm from new infections, these insights offer exciting new tools that cannot be ignored. In addition, this study shows that the current focus on hand hygiene and surface disinfection to decrease transmission of infections will never be adequate without considering the added dimension of indoor management. For those still unconvinced about the value, the business case for these interventions will be presented. Best of all, these findings apply to all building types, not just hospitals. Registration and itinerary for the October Meeting are below. Congratulations to this year’s Gustus L. Larson Scholarship recipients: Michaela Thiry and Michael Osep, both students at MSOE.